Delirium is the medical term for an abrupt, rapid change in mental function that goes well beyond the typical forgetfulness of aging. Delirium can cause you to become confused, potentially aggressive, agitated, sleepy, and/or inactive. Post-operative delirium can occur after you’ve had an operation, and is the most common complication older adults experience after they have surgery. Older adults are at high risk for post-operative delirium after they have heart surgery. When older adults have post-operative delirium, they are often given antipsychotic medications (APMs). However, these drugs are not proven to be effective for treating delirium and may be harmful. Experts suggest that these drugs do not reduce how often or for how long older adults may experience delirium, or how serious the effects of delirium may be. Additionally, some studies in older adults with dementia have found that APMs may cause heart rhythm problems and other drug-related side effects. Taking these drugs can increase the effects of anesthesia, and can cause stroke, pneumonia, and even death. Older adults who have had heart surgery are more likely to experience these dangerous events. 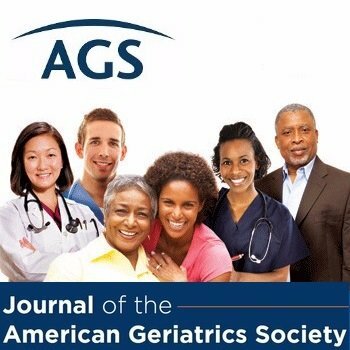 Experts from the University of Iowa recently published a study in the Journal of the American Geriatrics Society examining the kind of medication errors and side effects that nursing home residents experience. They also looked at staffing and work systems in nursing homes that could affect medication errors and side effects. This is important because more than 1.4 million older adults lived in nursing home facilities as of 2015. Of these, 85 percent were 65-years-old and older and 41 percent were 85-years-of-age or older. In 2014, there were 15,600 nursing homes in the United States. Older adults who live in nursing homes are at greater risk for injuries related to the medications we might take as we age (these injuries are also known as “adverse drug events”). There is a greater risk for adverse drug events for this population due to age, frailty, disability, and the multiple chronic illnesses we may be managing at any given time. For these illnesses, nursing home residents usually need several medicines, sometimes including riskier medicines like antipsychotics, antidepressants, and antiepileptics. Researchers at the University of Exeter have found a statistical link between pneumonia in older people and a group of medicines commonly used to neutralize stomach acid in people with heartburn or stomach ulcers. Although proton-pump inhibitors (PPIs) are still a valuable group of medicines, research is indicating that PPIs are not as completely safe for older people as previously thought. PPIs are medicines commonly prescribed to reduce gastric (stomach) acid production and to protect the stomach. Approximately 40 percent of older adults receive PPIs, although according to some experts, up to 85 percent of people who receive PPI prescriptions may not need them. Researchers say people should not stop using their PPI medication, but should discuss with their prescribing healthcare professional whether the PPIs are still needed. Just stopping PPIs could be dangerous as PPIs may be useful, for example, to prevent stomach bleeds in some people. Once thought to be relatively harmless, PPIs have more recently been linked to increased rates for certain health concerns like fractures, cardiovascular disease, and some bacterial infections. The association between PPI use and pneumonia was studied because stomach acid helps to prevent infections spreading from the gut in some individuals. Since pneumonia is a major cause of death for older adults, it is important for healthcare providers to understand the links between PPIs and pneumonia. Anticholinergics are a class of medications that are often prescribed for allergies, lung disease, and urinary incontinence. They also often can increase health risks for older adults. These medicines can affect your memory and ability to think, and they can even lead to increases in the risk for falls, dementia, and death. Additionally, older adults often have a difficult time tolerating anticholinergics because of age-related physical changes, such as reduced liver and kidney function, and because medications can impact our brain chemistry more strongly as we age. Experts use tools to help older adults and healthcare professionals understand the risks associated with medications like anticholinergics. One of these tools is the AGS Beers Criteria for Potentially Inappropriate Medication Use in Older Adults. The AGS Beers Criteria details medications with risks that may outweigh their benefits for older adults. The AGS Beers Criteria identifies 52 “high-risk” anticholinergics. Thirty-five of these are included on a list of medications worth avoiding altogether for older people, unless a healthcare professional has a compelling reason for prescribing them on a case-by-case basis.